Government schools versus home schooling and the finished product is light years apart. I attended the Teach Them Diligently Homeschool Convention and people traveled from many states away. Great convention and great group of children coming up who have a Biblical worldview. Praise God he has leaders on the way! The life of Winston Churchill is rich with lessons about perseverance, a speaker at a Nashville homeschool convention said Friday. 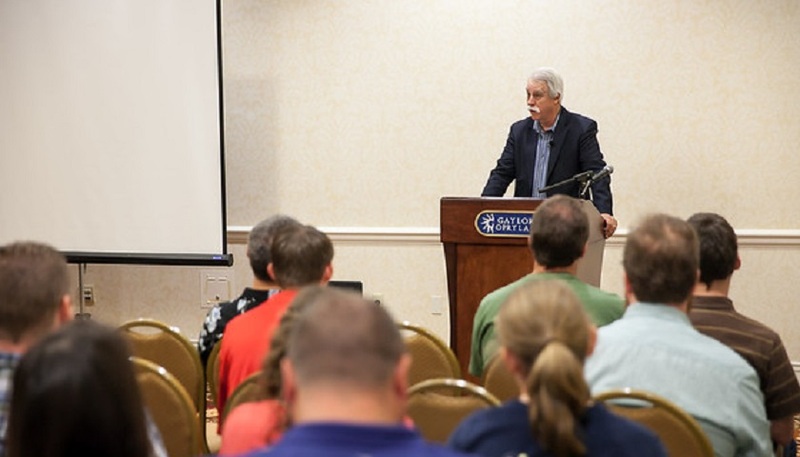 Bill Potter, a historian at Landmark Events in Columbia, Tennessee, spoke at the Teach Them Diligently convention being held this weekend at the Gaylord Opryland Resort and Convention Center. Landmark Events offers historical tours, conferences and retreats from a Christian perspective. Historian Bill Potter speaks about Wilson Churchill at the Teach Them Diligently homeschool convention at the Gaylord Opryland Hotel on Friday. While not an orthodox Christian, Churchill was taught to appreciate biblical principles by his governess, who he greatly respected. He was largely ignored by his parents who sent him off to boarding school, where he wrote them letters asking them to visit him to no avail, Potter said. Churchill later served in the armed forces as a soldier and also worked as a war correspondent. He went on to become a member of Parliament, where his concerns about the growing power of Hitler in Germany were dismissed by other government leaders. But his tough anti-Nazi stance caught the attention of Hitler, who hoped that Churchill would never rise to a position of prominence, Potter said. Potter said Hitler did not want to go to war against Britain because he feared the British military and because he viewed the British people as part of the master race he wanted to promote. Churchill became prime minister in 1940 and was instrumental in defeating the Nazis. Churchill has a mixed legacy today, with some who admire him and others who are highly critical, Potter said. Those on the left don’t like him because of his patriotic fervor and defense of the British Empire while a handful critics on the libertarian right, Potter said, hold him responsible for World War II. That latter view is not widely shared, as most on the right credit Churchill for warning Britain and the United States about the dangers posed by Hitler long in advance of the beginning of hostilities, which the German fuhrer initiated. But Potter said Churchill had a remarkable character, despite his flaws and trials, such as periodically battling deep depression, which Churchill referred to as the “black dog” out to attack him. He has much to teach Christians today, Potter said. Churchill viewed the fight against the Nazis as a fight to save Christian Western civilization. Christians today are in a battle against a culture that has grown in hostility toward the Christian faith. Churchill was confident in his cause, just as Christians today should be, Potter said.